There are many out there advocating that you buy gold and then store gold at home where you can quickly get your hands on it when the need arises. While I will not get into a debate over whether we will ever again see a society prepared to trade using gold and silver coins, having your gold stored at home comes with its own set of problems. Here at BuyAndStoreGold we prefer offshore gold storage facilities like BullionVault, GoldMoney and GlobalGold. If you do decide you want to store your gold at home, though, here are some ways to hide and or protect it. Midnight gardening is a cute term used to refer to people that would go out in the dark of night and bury their gold in their garden (so the digging was not obvious) and hopefully no one would see what they were doing or where. Bloomberg actually had an article mentioning this here. What the individual mentioned in the article did wrong, though, is tell the world about it. 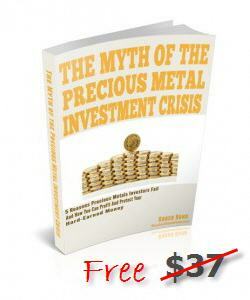 Rule #1 of gold ownership is to keep it quiet, ESPECIALLY if you intend to store gold at home. One man I knew who owned a gold coin company advocated burying it, and since he knew everyone knew he was in the gold business would comment “I live in the Rocky Mountains, and let’s just say there are LOTS of rocks out there”. In other words, good luck finding his stash. The problems with having gold buried in the backyard or garden are many. Make sure no one sees you bury it. 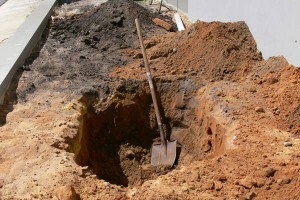 Make sure there is no evidence of burying (freshly dug dirt must “fit in”, no settling after). Bury several feet deep in hopes of avoiding metal detectors. This also makes it harder for you or your heirs to find. Consider burying lots of “decoys” around the yard as well. Though a good detector can tell the difference between junk steel and gold. Seal everything in PVC; gold will hold up better than silver if moisture gets to it. New infra red and other tools may not be so easily fooled as a cheap metal detector. Find a way to remember where you buried it and have that information available ONLY to your heirs. Knowing a thing or two about construction I can come up with a million places to hide gold or silver in a home. Sometimes people will incorporate phony PVC in the plumbing system, hide it in the metal ductwork (where the metal detector will go nuts anyway), in walls, and even in plain sight (disguised, of course). Problems here are many, again many of the items listed above in Midnight Gardening come into play. One you may not think of is one gentleman who, to this day, is not sure he did not leave a couple of gold coins hidden in a home he sold and moved out of. So many things going through one’s mind at times like that. A home safe can be a decent place to store gold, silver and other valuables provided you spend enough money for a burglary rated, heavy as possible, bolted to the floor or wall model. Burglary safes are rated, as in how long it will resist a burglar with tools. TL-30 means it will hold out for around 30 minutes. As gold climbs in value, more people will be willing to risk more to get at your stash. Fire safes are NOT appropriate for storing valuables, they are for storing important papers that you want to survive a fire. A quality burglary safe will probably also have a fire rating. One home safe we really like, not for it’s heft and strength but for its clandestine installation and fire rating is the Little Titan home safe. A good safe can cost $2000 and up. It’s heavy and difficult to get in place; you will need help from people you may not know and trust. If you forget the combination, it will be expensive to have it drilled and then you are back to square one. Safes are good for a burglary, but not a robbery. A gunman can hold a weapon to a loved one and make you open it. Because of the robbery threat, hide it if possible. If you live in a remote area where a burglar has lots of time, a determined one will get in. Since there may be no perfect way to store gold and silver in every single circumstance, one could argue that storing a portion of your gold at home could make some sense. If you choose to do that I hope the content above is of assistance. Alternatives to storing gold at home certainly include bank safe deposit boxes, though we do not recommend that either for U.S. banks. Certain foreign banks are a different matter. Another is private secure storage facilities. If in the proper jurisdiction (not London, to be sure, as one of those was raided by police with all valuables confiscated a couple of years ago), that is an excellent choice, though pricey. We continue to like options mentioned at the outset of this article, namely facilities like BullionVault, GoldMoney and GlobalGold, all of which have the added benefit of diversifying your assets into other jurisdictions (except GlobalGold in the case of Swiss residents). Each gold or precious metals owner needs to decide for him or herself what is best; we are simply here to discuss the options, the pros and the cons.